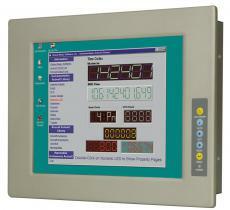 LCDs are employed in a variety of applications, including televisions, aircraft cockpit displays, and computer monitors, among many more. Liquid crystal displays have succeeded cathode ray tube (CRT) displays in almost all applications, rendering the latter obsolete. Liquid crystal display screens are also much more energy efficient and offer a safer disposal process than those of CRTs. Liquid crystal displays provide consumers with a range of veritable benefits. Defined by their agile and compact composition, LCDs offer no geometric distortion, and provide clear, sharp images free of bleeding (when operated at native resolution). 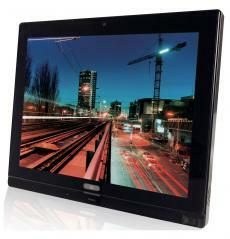 Additionally, LCDs do not require a great deal of power to function, so their consumption of energy is limited. Because of this, only a small amount of heat is emitted during its operation. 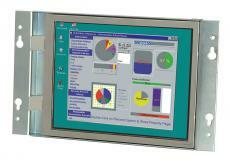 A Panel PC is commonly accompanied by an LCD and is assimilated into the same enclosure as the motherboard. 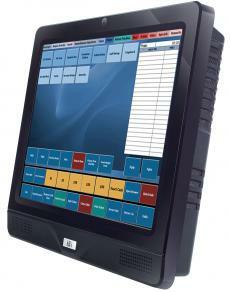 Typically, panel PCs utilize touch screens for ease of use and are often panel mounted. 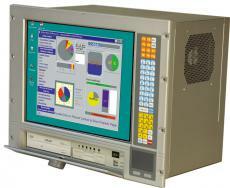 Industrial PCs are often and commonly used for data procurement and/or process control. At times, industrial PCs will simply be used as a front-end to a different control computer within a distributed processing climate. 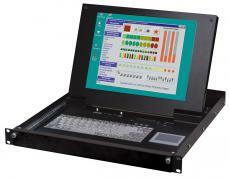 Industrial PCs offer expansion options, reliability, and compatibility that typical consumer PCs are incapable of. At ICP America, we are proud suppliers of industrial and embedded panels PCs, rackmount LCD drawers, industrial LCD displays, and touch screens. 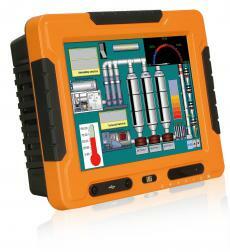 Our industrial panel PCs are equipped with a rugged, durable exterior and have IP 65 aluminum front panels. 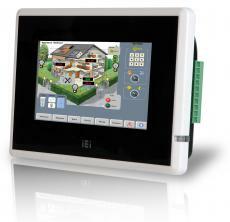 Our embedded all-in-one HMI panel PCs are supplied with a full computing system, and come in a wide variety suitable for your needs. Our workstation series features an integrated LCD, with a durable membrane keypad and waterproof panels, making it ideal for withstanding a range of conditions. Our industrial LCD displays include an adaptable, fully functional line of IP64/65 compliant, vibration and shock resistant displays. Additionally, ICP America's touch screen series features screens that range from 6.5 to 19 inches, as well as four and five wire resistive touch. ICP America has maintained its status as one of America's premiere computer innovative designers for over 25 years. We have come to be known within the industry as the "Computer System Solution Provider, " and pride ourselves on our ability to help customers differentiate themselves from their competition. ICP America has been the producer of forward-thinking, innovative designs, including our versatile line of LCD products and panel PCs, since the 1980s. We challenge our engineers to create computer products that will exceed consumer expectations and meet the anticipated needs of our customers.